The Birthgrave is Tanith Lee's first published novel -- the first book of a trilogy of stunning imagination -- and remains one of her most memorable best. This fine edition includes a new introduction by the author. 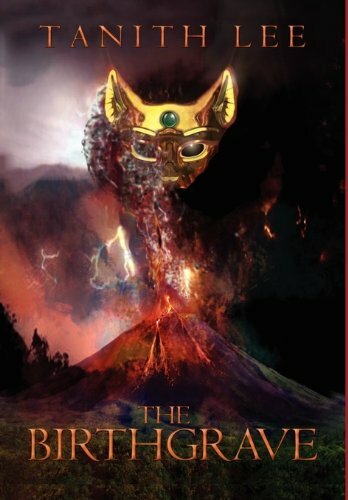 A mysterious woman awakens in the heart of a dormant volcano and comes forth into a brutal ancient world transformed by genocidal pestilence, war, fierce beauty, and cultural devastation. She has no memory of herself, and she could be anyone -- mortal woman, demoness lover, last living heir to a long-gone race, or a goddess of destruction. Compelled by the terrifying Karrakaz to search for the mysterious Jade that is the answer to her secret self, she embarks on a journey of timeless wonder. Come within this realm of brilliant cruel beauty and seductive immortal ruins, of savage war and grand conquest, of falling stars and silver gods, of longing and desire. Rediscover the exotic wonder of The Birthgrave Trilogy.